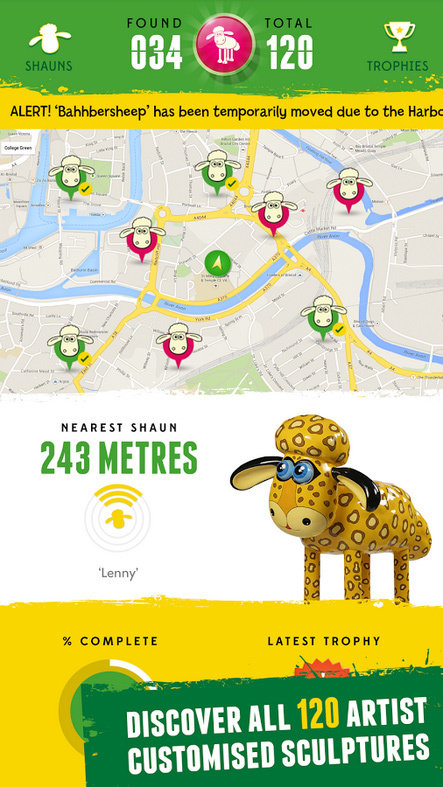 The Shaun in the City art trail is a series of 120 unique sculptures placed around London and Bristol. This app was created to help you find your way to each and every one, tick them off as you go, and much more besides! You’ll earn achievements along the way, discover details about the statues and have an all-round good time! I developed this app with the lovely folks at Aardman Animations. Testing involved an eighteen hour day trip to London and ten hours of walking a marathon and a quarter to check the location of all the sheep! Bleat that if you dare! Buy the app for your Android phone/tablet. Buy the app for your iPhone/iPad. 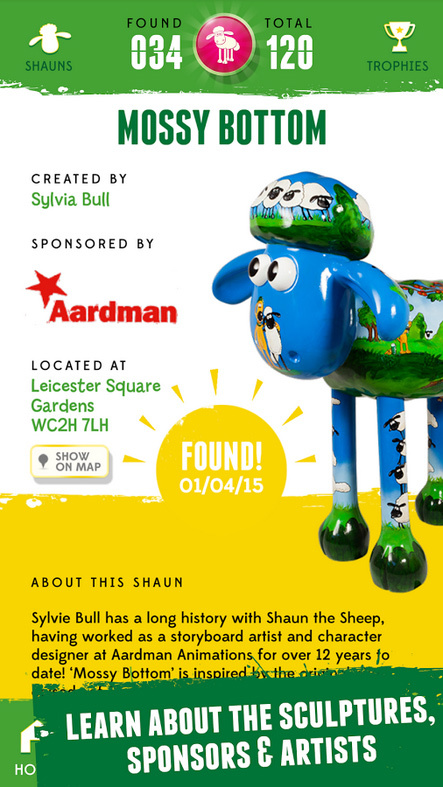 Visit the Shaun in the City website. Send a donation to the charity.